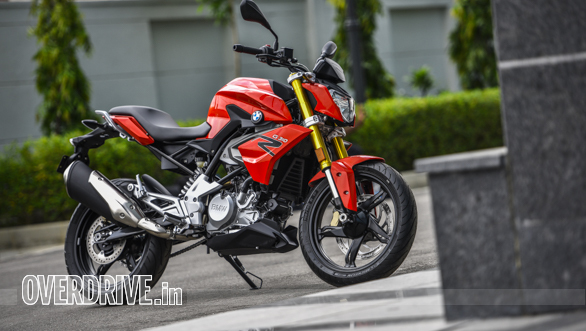 The BMW G 310 R has been a long time coming. It's now five years since BMW and TVS tied-up to work together on small-displacement platforms. There are three motorcycles from the platform, of course. TVS rolled out the Apache RR 310 in India a few months ago, debuting the platform in India. 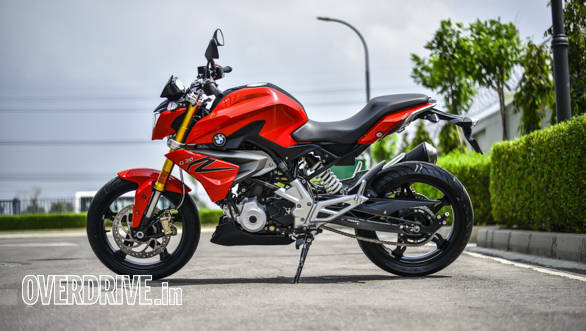 But while BMW has been producing the G 310 R and G 310 GS in India, it hasn't sold them in India until now. It isn't hard to see why either. 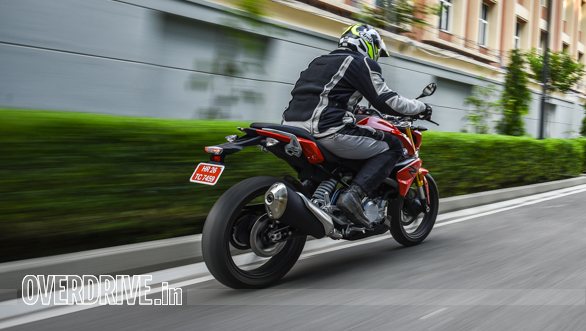 While you might think that the KTM 390 Duke and the Kawasaki Ninja 300 or Ninja 400 has already got the market in a settled state, the truth is India is just getting going. And BMW Motorrad India is here at a good time although as with all motorcycles, more power, and on sale earlier is always better, heh heh. BMW Motorrad India, before the 310s, handled only direct imports, that too via a handful of dealers. It's taken them time to settle in a new system that incorporates local production from TVS to be routed for exports and the domestic market and they've expanded their dealer network, it should be 10 dealers shortly. All will sell and service the 310s. Deliveries for the those who pre-booked have just started. Oh, and no, TVS and BMW have no cooperation for sales or service. So TVS authorised service cannot handle your BMW. The all-digital instrument cluster is laid-out well. The rev counter has a small graphic but it took us onlya moment to get used to it. Doesn't the shift light look like a snowflake? My first impression was of quality. Like I've written before, the BMW Motorrad strategy was to not dilute their internal quality standards just because the 310s are small and go to emerging markets. Christian Hoffman runs quality for the Hosur line where the BMWs are made. He told me that most obvious change is seen in the finish of the components. I looked at the texture of the plastic more closely when he laughed and said, that it was more than that. It was the tolerances for the way the panels fit together and much more that caused our impression of quality to be formed. I would say that of all the bikes in this 400cc or below class I've seen yet, the BMW 310s seem to have the quality edge and by a noticeable margin too. I loved the 310R's feel. It's lighter than the GS and that gives the 34PS/28Nm reverse configuration, tilted back single cylinder engine extra punch to play with. 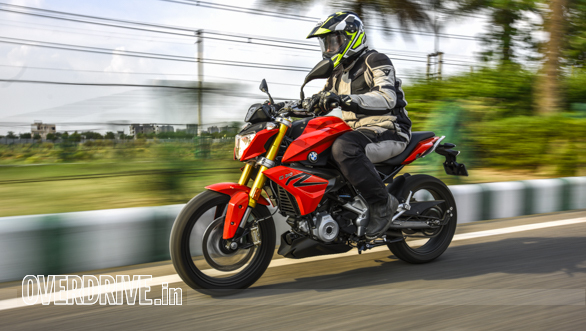 The engine is, of course, identical to the G 310 GS and the Apache RR 310 in every way except that the TVS runs different electronics and produces a slightly different state of tune. The 310 R's engine feels gutsy and torquey in that slightly understated way. It requests speed rather than demands it and when you roll the gas on, the response is very interesting indeed. My ride on the 310R was a short spin on surface streets in light traffic only. And in this environment, it's a compact, easy to handle machine with a sweet turn of speed. I think the roll-on figures will surprise people when we road test it. Honestly, there wasn't enough time to go anywhere close to the highway for this story. I can tell you, though, that 100kmph is 6,500rpm in sixth gear and it feels quiet, composed and you mostly hear the wind. There are no vibes till about 110-113kmph and only after 8,000rpm will you feel a light buzz kicking in. Which sounds like a reasonably good highway bike in the making. 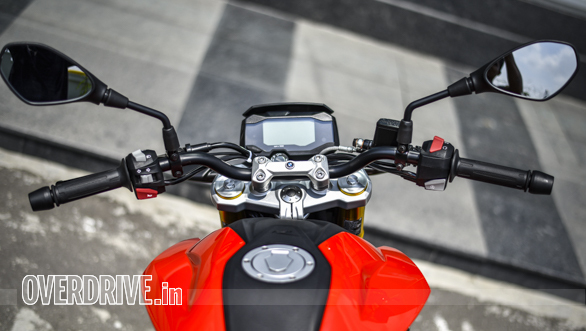 The trellis frame and swingarm on the G 310 R are identical to the G 310 GS. But the R sits on shorter forks and a shorter, preload adjustable rear monoshock. This gives it a significantly lower ride height and improves your sense of feedback and control. The tyres are 17 inch Michelin Pilot Streets front and rear. And that's an astutely tuned package. Because the initial impression is of a stiffly sprung sporty machine. It makes you wonder how the 310R would handle a big pothole. But when you do hit one, the BMW absorbs the punishment quite well and doesn't feel fragile. It is, in fact, stiffly damped but I suspect that most of us will end up liking this setup. Because the cornering manners are impeccable. The 310 R feels completely natural in the corners. Lean angle acquisition is a direct, predictable process and the few corners I got, I found myself trusting the 310 R innately. I'd love a few laps on this at a racetrack. 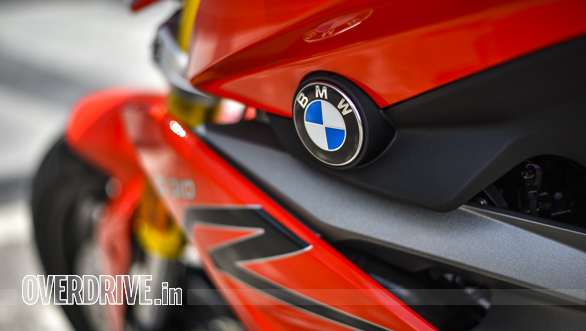 BMW Motorrad India - hint hint! 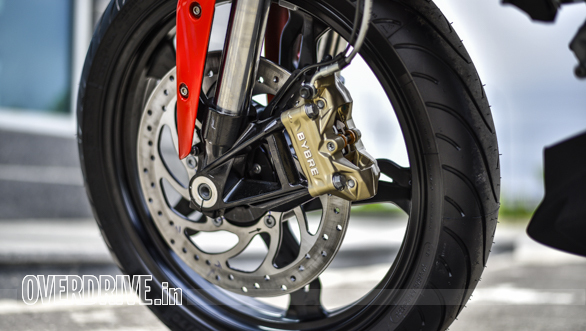 The Bybre brakes deserve a section for themselves. 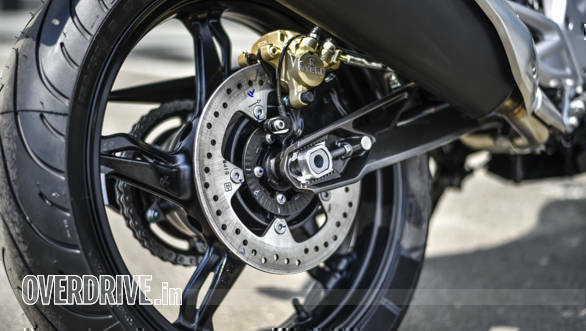 Because here ladies and gentleman, are the best brakes on an entry-premium class motorcycle I've tasted yet. There's exactly the kind of strong bite I like with great feel, power and progression. ABS, of course, is standard and cannot be turned off. The finish levels are a new benchmark and the rubber strip that runs down the centre of tank and the little panel on the side with the 310 R logo complete a stylish, fresh and very, very BMW look. Oh that hits the spot. I know the arguments. That the KTM 390 Duke makes more power and is less expensive and all that. 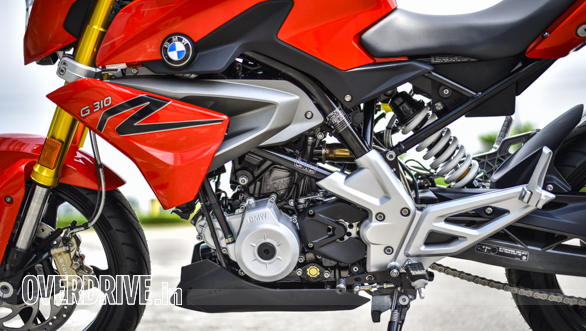 But the BMW G 310 R comes together as a fun little motorcycle that is more than the sum of its parts. It also sets a new standard for product quality and I think we will all realise that three-four years down the line, these 310s do not seem to age in quite the same way as their peers. The styling of the G 310 R is inspired by the S 1000 R sport-naked. 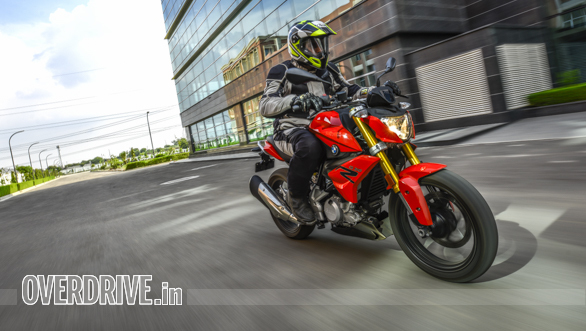 At Rs 2.99 lakh ex-showroom, the G 310 R is, no doubt, expensive. But I suspect that BMW is aiming for a discerning class of youngsters as well as oldies who want a world-class product and are willing to pay for it. 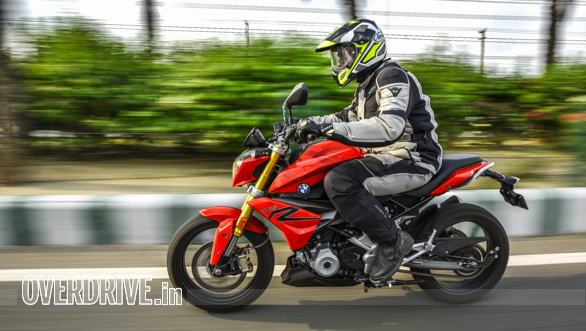 The heft of the BMW brand and its perception will help the 310 R carry its high price tag too. I don't think the ten dealers that BMW Motorrad India has, or will have shortly, will have any trouble selling these. Because here's the thing. While we all were expecting a 80:20 split between the 310 GS and the 310 R, the actual bookings look more like 60:40. And while the GS has the buzz, ability and feel - see our story - the R is distinctly more involving and fun!